We are defining “best” here not as “smartest” or “most influential” but as the ones we are most fortunate to have met. You see, this morning’s rover landing not only introduced a sophisticated nuclear-powered mobile laboratory to the planet Mars, it also introduced some formerly anonymous NASA scientists to the planet Earth. We still know barely anything about them, but we know enough to turn them into Internet memes, and ultimately, that’s enough. 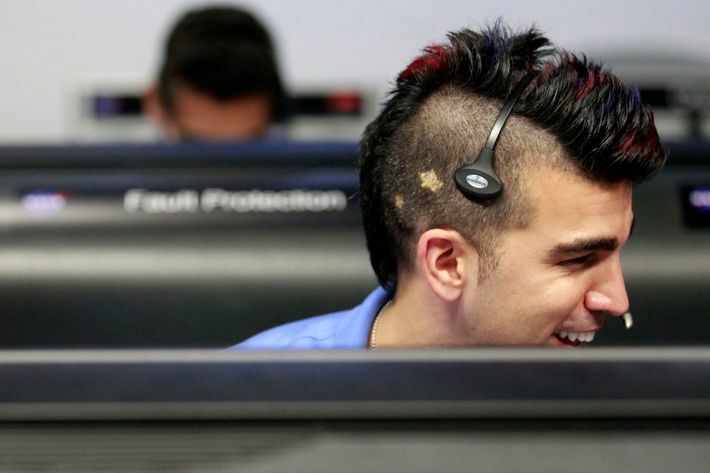 As you might expect, this is a NASA scientist with a mohawk. Specifically, it’s Activity Lead Bobak Ferdowsi with a mohawk. He reportedly gets a new hairdo for each mission, and this time, he went with a mohawk, which is an unexpected haircut for a NASA employee. Ferdowski now has a Tumblr devoted to him and his mohawk and the awesomeness they exude, and his Twitter followers have increased one-hundred-fold since last night. 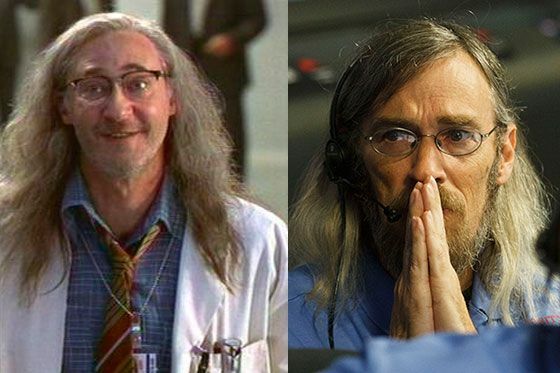 One sharp-eyed Redditor noticed that one NASA scientist looks like the wacky scientist from Independence Day, kind of. Releeaase me. We already talked about this guy earlier today, but for those who missed it, here is how he earned the nickname “Pre-Celebration Guy” (from us and nobody else). They can land a robot in a crater 154 million miles away, but they can’t slap their hands together from a distance of about a foot. God bless these NASA scientists with their amazing brains and terrible motor skills. Out of all the NASA employees cheering the Curiosity landing, we highly doubt that anyone did so as exuberantly as this guy. Whenever you feel down, whenever you feel overcome by sadness or pain, just watch this GIF of Jubilant Celebration Guy, and if you don’t feel better, well, it’s truly hopeless for you at that point.